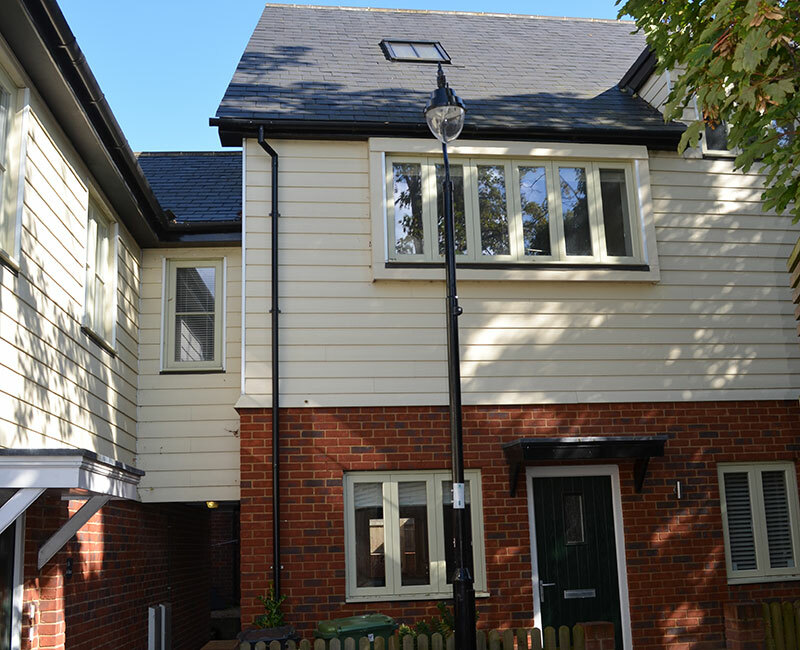 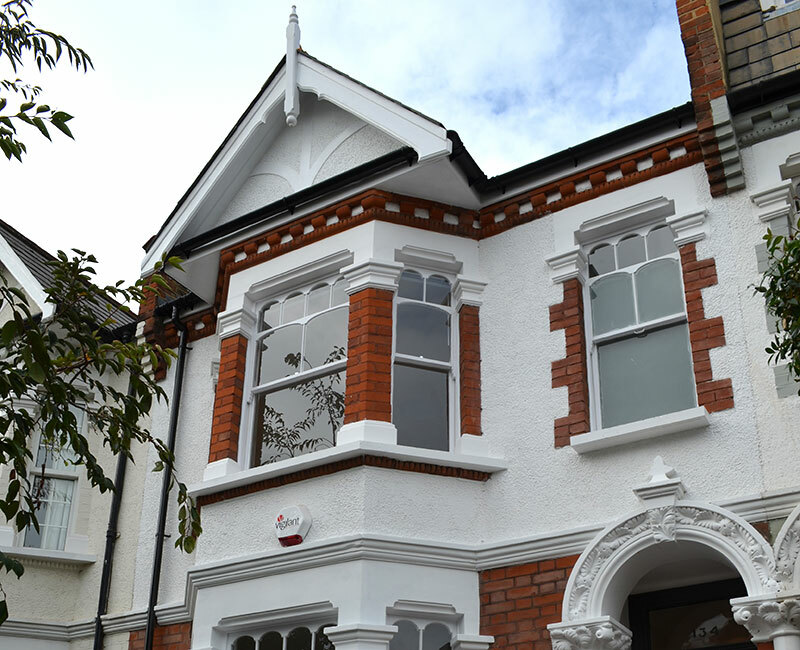 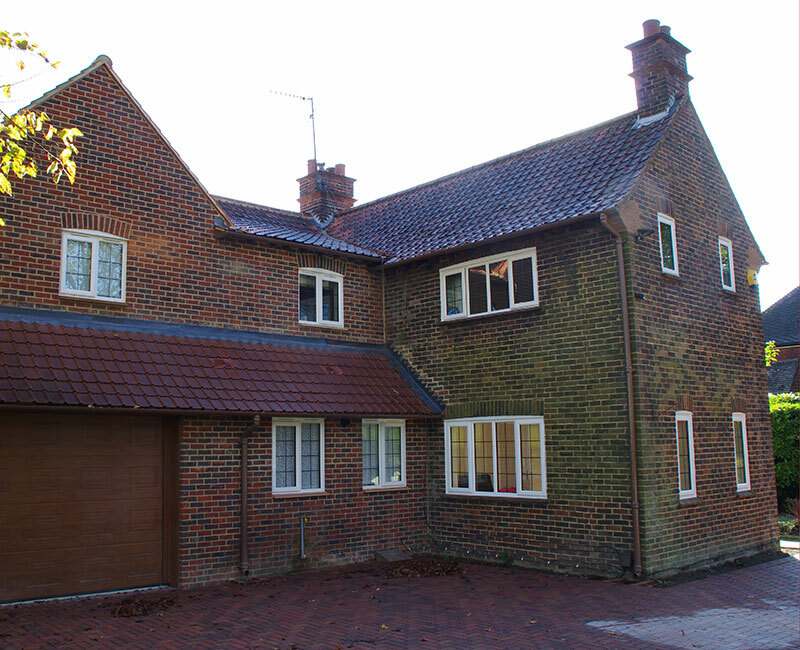 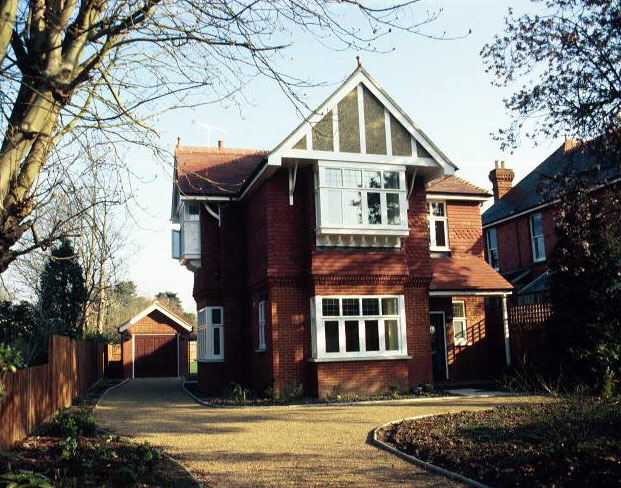 Formerly a bungalow in need of substantial repair the brief was to design a replacement of 2 storeys. 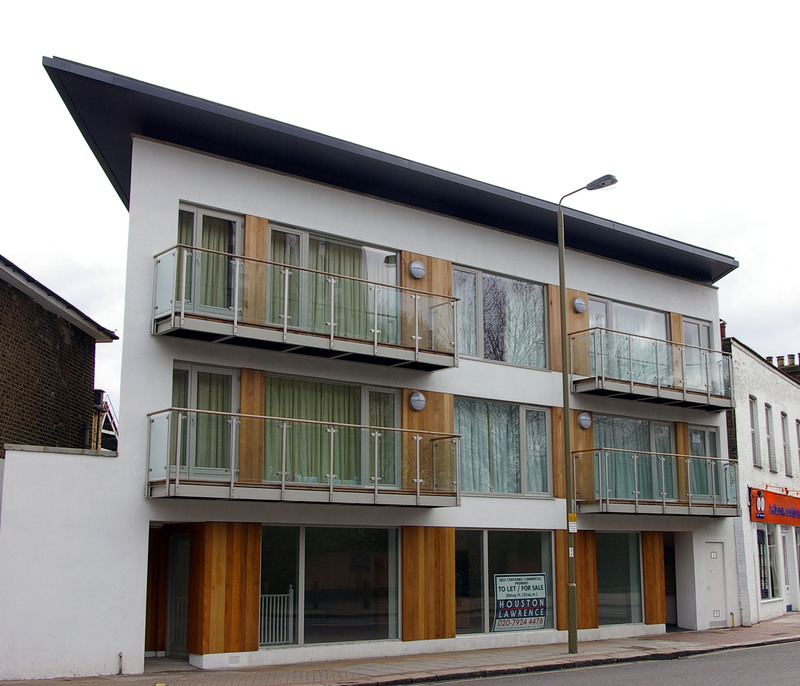 Pre application advice from the Local Authority soon precluded a true 2 storey solution and negotiations finally allowed a larger plan with rooms in the roof. 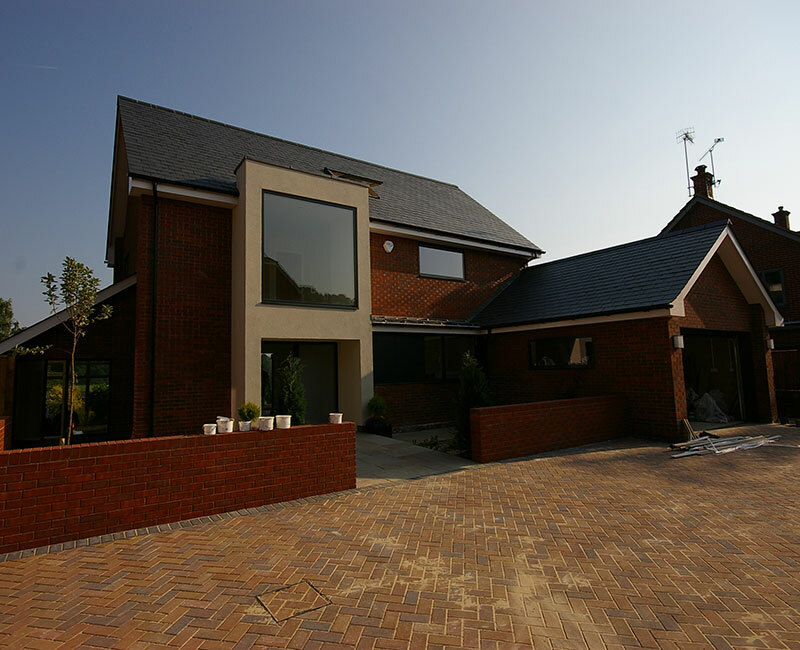 Overlooking and overshadowing were an important consideration but the design successfully overcame these issues and permission was granted. 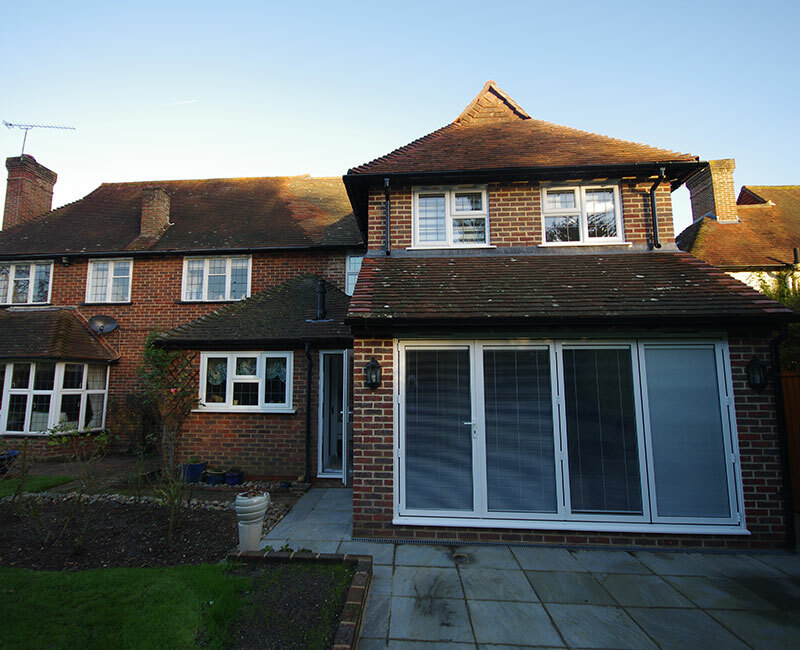 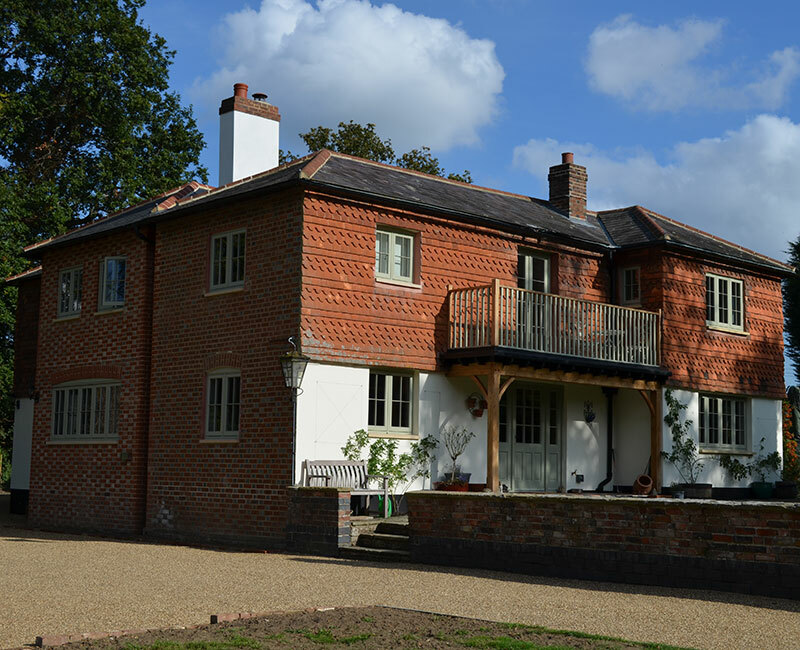 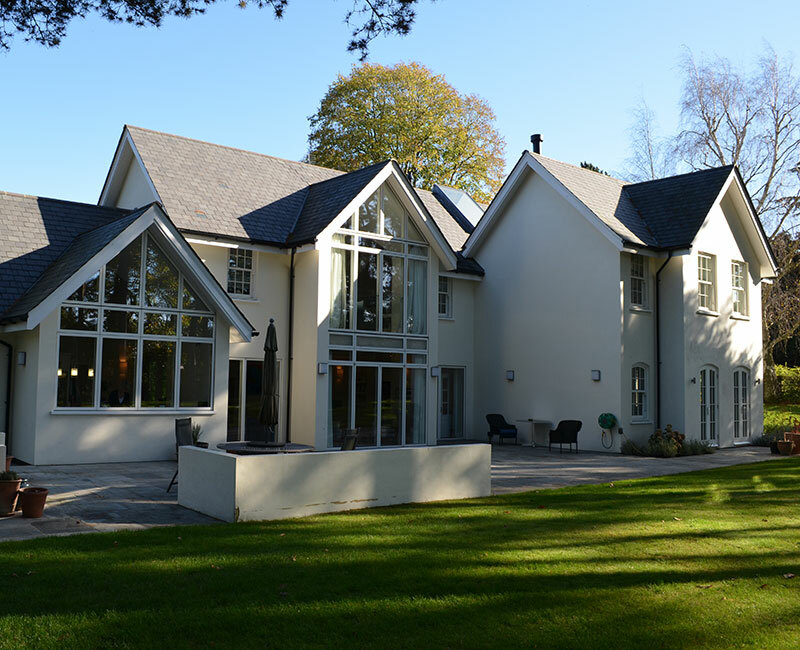 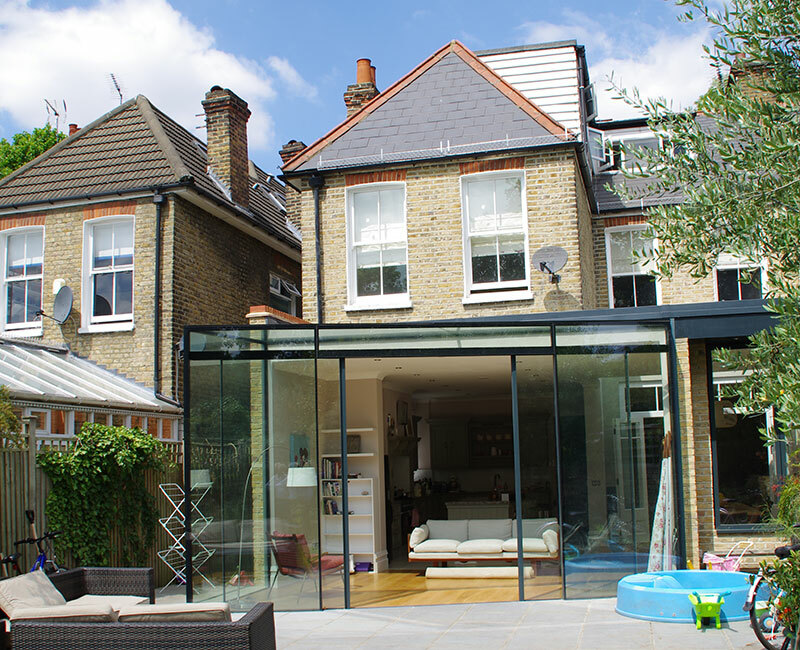 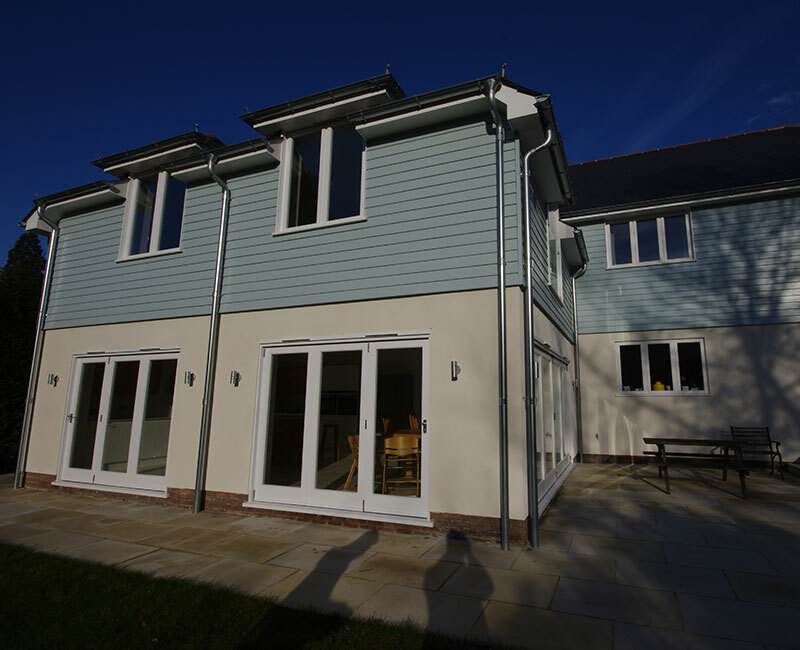 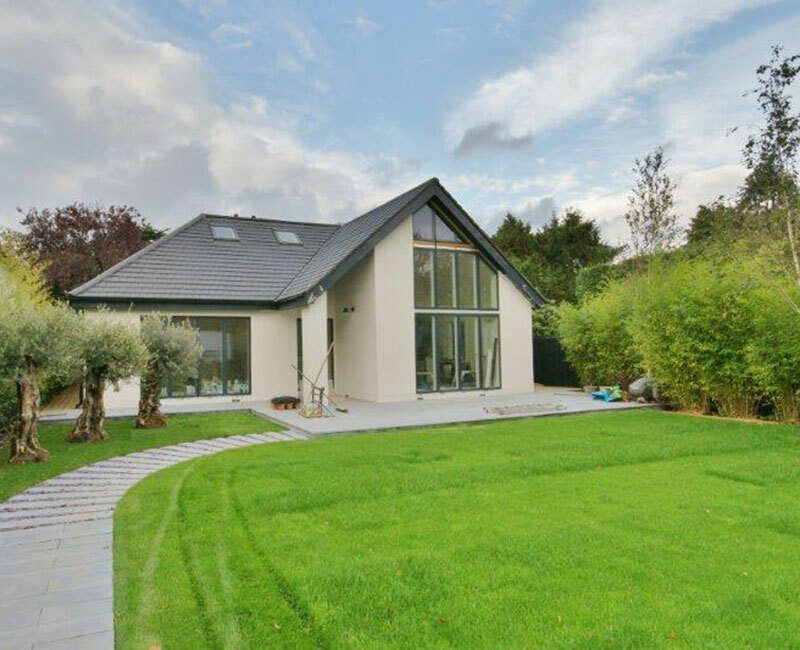 The client was keen to see a modern design with maximum glazed areas. 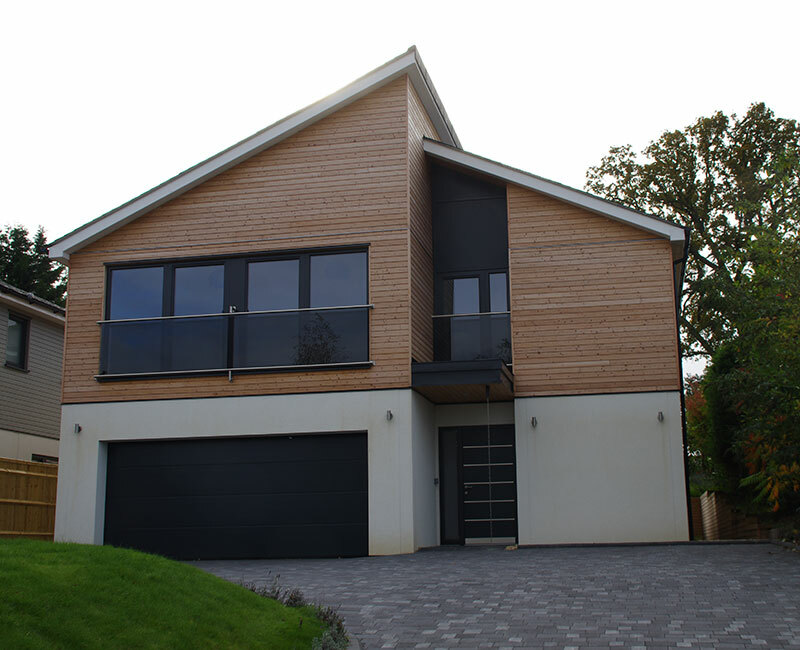 A particular feature was the fact that the house was set back from the road by nearly 50m and so a new garage and entrance was created at the road allowing complete privacy in the garden behind and a modern face to the street.